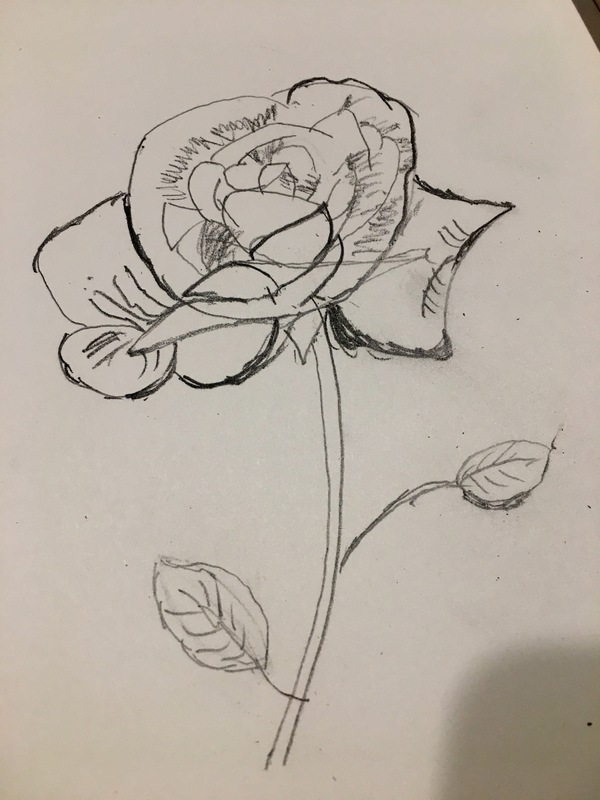 Nice rose, I’m enjoying following your artwork as you’re progressing, and definitely your sketching is impressive. That’s beautiful! Thank you for this Saturday rose, Vonita! Thank you, Erika, I started a graphic design course, and now I need to learn how to sketch! I see you are busy practicing. I admire everyone who can draw!! Enjoy and have fun! Wow!! That’s awesome. You have found a new passion to express yourself. Actually, it is poetry in pictures. I understand your excitement so well and I am happy for you! !